IFERI is delighted to be able to share with you a brand new paper by Professors James W. Chapman and William E. Tunmer, from the Institute of Education at Massey University, New Zealand. This paper was presented, by invitation, at the 39th Annual Conference of the International Academy for Research in Learning Disabilities (IARLD), Vancouver, Canada, July 8, 2015. 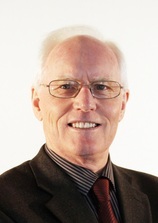 Professor James Chapman has been a Fellow of IARLD since 1983. IARLD (International Academy for Research in Learning Disabilities) is an international professional organization dedicated to conducting and sharing research about individuals who have learning disabilities. Fellows of IARLD include premier scientists, educators and clinicians in the field of learning disabilities throughout the world. For convenience, some extracts and conclusions from the paper are published as part of this blog post. To open or download the complete paper, simply click the title below. The Literacy Performance of ex-Reading Recovery Students Between Two and Four Years Following Participation on the Program: Is this Intervention Effective for Students with Early Reading Difficulties? Considered together, the PIRLS results for 9-year-old children who had received RR in Year 2, the enrolment data for students receiving support from RT:Lits, and the two New Zealand studies on the sustainability of RR outcomes for discontinued children, show that RR simply has not achieved its primary goals in New Zealand. Clay’s avowal that RR would “clear out of the remedial education system all children who do not learn to read” (Clay, 1987, p. 169), and the RR New Zealand’s website claim that RR operates as an “effective prevention strategy against later literacy difficulties” and, therefore, “may be characterised as an insurance against low literacy levels” (www.readingrecovery.ac.nz/reading_recovery), are without foundation. Why Does Reading Recovery Fail to Result in Sustainable Gains? We have argued elsewhere (Chapman et al., 2015) that the effectiveness of RR interacts with where children are located on the developmental progression from pre-reader to skilled reader. Because of limited knowledge of print at the outset of learning to read, and/or developmental delay in acquiring the phonological awareness skills that are essential for learning to read successfully (e.g., Pressley, 2006; Snow & Juel, 2005; Tunmer, Greaney & Prochnow, 2015), a large proportion of young struggling readers operate at low developmental phases of word learning, which Ehri (2005) described as pre-alphabetic and partial-alphabetic phases. Delayed readers who are still in these phases, typically those students who struggle the most with learning to read, will not be able to grasp the alphabetic principle and discover spelling-to-sound relationships on their own or in a program that emphasizes text rather than word level instructional approaches. These students will require more intensive and systematic instruction in phonemic awareness and phonemically based decoding skills than what is provided in typical RR lessons. What Should be Done to Improve the Effectiveness of Reading Recovery? There are serious shortcomings and much-needed improvements in several aspects of RR, including the theoretical underpinnings of the program, the assessment battery which fails to include measures of phonological processing skills, the specific instructional strategies emphasized in the program (e.g., the multiple cues approach to word identification), the manner of program delivery (one-to-one versus instruction in pairs), and the congruence between classroom literacy instruction and the RR program. Regarding the issue of congruence between classroom literacy instruction and RR, the program was originally developed to complement regular whole language classroom literacy instruction in New Zealand. Clay (1993), nevertheless, claimed that RR was compatible with all types of classroom literacy programs, but she offered no evidence in support of this claim. To test this belief, Center et al. (2001) investigated whether the efficacy of RR varied as a function of the regular classroom literacy program. They compared the effects of RR in “meaning oriented” (i.e., whole language) classrooms and “code-oriented” classrooms (i.e., those that included explicit and systematic instruction in phonological awareness and alphabetic coding skills). Their results indicated that at the end of the second year of schooling, children in the code-oriented classrooms (regular and RR students combined) significantly outperformed children in the meaning-oriented classrooms on measures of phonological recoding, reading connected text, and invented spelling, as well as on a standardized measure of reading comprehension. Overall, however, Center et al. (2001) reported that the RR students in both types of classrooms failed to reach the average level of their peers on any of the literacy measures. These findings clearly contradict Clay’s (1993) claim that the regular classroom context does not differentially affect the literacy performance of RR children. Although regular classroom literacy instruction influences the effectiveness of RR, the most serious shortcoming of the program is the differential benefit at the individual level. The program may be useful in the short term for some struggling readers but not others, especially those struggling readers who need help the most. More intensive and systematic instruction in phonemic awareness and phonemically-based decoding skills is likely to be required than what is normally provided in RR lessons for those who struggle most with learning to read, and for any gains made in RR to have a lasting effect (Iversen, Tunmer & Chapman, 2005; Tunmer & Greaney, 2010). Slavin et al. (2011) found reading programs for younger children that had less emphasis on phonics, including RR, showed smaller effect sizes than those programs that included phonics. They noted that RR is the most extensively researched and used reading intervention program in the world, but that the outcomes were less than might be expected. Further, Slavin et al. observed that the overall effect size for 18 studies involving paraprofessional or volunteer tutors using structured and intensive programs was about the same as the effect size for RR studies (+0.24 vs. +0.23), despite the very intensive training that RR teachers receive. The RR program remains largely un-revised in its instructional approach despite clear evidence showing that claims about RR being an insurance against on-going literacy difficulties are without foundation. The New Zealand Reading Recovery website continues to assert the effectiveness of RR; assertions that are not supported by the New Zealand Ministry of Education’s own data (national monitoring reports and PIRLS), or by the two independent studies undertaken in New Zealand on students two to four years following successful completion of the program. If the RR program is not changed to reflect contemporary scientific research on reading interventions, it should be dropped and replaced by a more contemporary, research-based, reading intervention approach, together with more effective literacy instruction in children’s first year of schooling. Excellence and equity in literacy education: the case of New Zealand. W.E. Tunmer & J.W. Chapman (eds.) (June, 2015). Basingstoke, UK: Palgrave Macmillan. This entry was posted in Dyslexia, News, Papers, Reading and tagged evidence, James W. Chapman, learning difficulties, literacy, Marie Clay, New Zealand, phonics, reading difficulties, Reading Recovery, research, systematic synthetic phonics, William E. Tunmer on 9th July 2015 by Anne Glennie. I have never understood how a program that targets the lowest first graders would not have a major phonemic awareness component. Wouldn’t that be what the research for the last 20 years has indicated? Also, if the prompting that is taught followed developmental spelling research, the program would be a lot better. It is fun and rewarding to go into a school where RR has ruled, teach phonics and developmental word study and watch scores soar. Thank you for your comment – and sorry for not responding sooner. The ‘major phonemic awareness component’ that you refer to is developed through a systematic phonics approach that includes not only decoding (sounding out and blending for reading), but also encoding (oral segmenting the spoken word, then allotting letters or letter groups as required). In effect, the learners’ phonemic awareness is developed through explicit ‘training’ and practice. In practical terms, it doesn’t matter whether the learner has an existing natural propensity for phonological and phonemic awareness (and/or lots of early exposure to language, language-play and pre-school oral work), because regardless of this, the teacher when introducing a ‘systematic explicit phonics programme’ should provide the requisite modelling and more-than-ample opportunity for the learners to practise both decoding (blending) and encoding (segmenting). Blending the sounds and orally segmenting spoken words can, of course, take place in the presence of print or not – or a mixture of both (preferably). What is so interesting, then, is if the teacher teaches ‘phonics and developmental word study’, especially if the ‘phonics’ is explicit, systematic synthetic phonics’ IFERI agree that we can ‘watch scores soar’ – and if these components were added to Reading Recovery as has been advised by researchers for many years, in effect, Reading Recovery would no longer be Reading Recovery but instead it would be ‘explicit, systematic synthetic phonics (which includes spelling). So in other words, Reading Recovery is outdated and redundant – and it’s high time that the education community moved on and got up to speed (in other words, informed by research and BEST practice) everywhere. Having recently completed M.Teaching (on-line) through a Victorian university, I am horrified at what is going on at some schools and some universities. Thirty years ago, I studied Byrnes’ “The Alphabetic Principle” during post-grad studies at UNE, and ever since have based my teaching programs on the truths I learned there. Yet in 2015 and 2016 I encountered both “Reading Recovery” and “THRASS” while doing practicums for the M.Teaching. Children were being instructed: “Don’t sound out words. Just look at the first letter and then look at the rest of the sentence.” Grade 2 students were learning weekly spelling lists by repetitive copying, without using phonics. Levelled readers encouraged guessing, because every book had a different set of vocabulary. This on-line M.Teaching was a waste of my time. For most units, there was an emphasis on Discovery Learning and Constructivism, not on explicit teaching. Come to think of it, there was very little in any of the fifteen M. Teaching units that trained these university students in how to teach reading. I am so grateful for the degree courses I took in the 1980s !